Lubaga South MP, Kato Lubwama together with other MPs were involved in a nasty accident as they made their way to Gulu Court. According to Kato Lubwama, many of his colleagues have survived with minor injuries expect former MP for Nansana Wakayima Musoke. 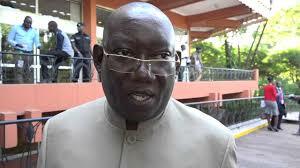 “We got minor injuries, but Wakayima Musoke Nsereko, the former MP Nansana got a serious injury,” Kato Lubwama stated.